One of the many perks of renting a virtual office space in Ottawa is that they usually include a comprehensive telephone answering service. This is important if you are a freelancer, an entrepreneur who is just starting out, or if you own a small business because it can help you save money and cut costs wherever necessary. 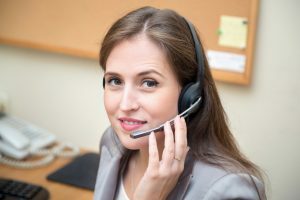 By hiring a phone answering service in Ottawa, you can ensure that all of your business-related phone calls will be forwarded to a local phone number and answered by a real person rather than going to a voicemail. Ottawa is a very culturally diverse and rich city, and because it is Canada’s capital, the Federal Government’s main offices are located there. This makes it one of the largest business hubs in all of Canada as the Federal Government is one of the largest employers in the nation. Ottawa is known for being home to numerous high-tech industries, such as telecommunications, environmental technologies, as well as software development. Because Ottawa is so fiscally and culturally vibrant, it is the perfect location to base your business. But, for so many people who are just starting out, it can be difficult to get the right footing and the first year in the lifespan of every business is absolutely crucial. The choices you make during that time period could help to shape the future of your business, and that is why it is unacceptable to conduct business using your own personal home or mobile phone number. Every new business needs to make an outstanding first impression on all potentially new clients, employees, and even business partners. This can be accomplished very easily by commissioning a professional, experienced, and dedicated phone answering service in Ottawa. Professional call answering services in Ottawa can give an air of sophistication to your company even if it is still in its infancy. The point is that your clients and customers do not need to know that you are a small business operating without a permanent office space because, with a reliable phone answering service, you can give off the illusion that you are working out of a permanent office space. When it comes to business dealings, appearances and convenience are nine tenths of the law. Having a fully staffed receptionist team answering your phone calls will depict to your clients that you own a successful business, and it will also ensure that you never miss an important phone call. Phone answering services can ensure that all calls are directed to you as desired, they can take messages if you are out of office or unavailable, and they can even forward calls or messages to you wherever you are at the time. It is understood that you are a busy individual with a prominent business to run and that is why it is crucial to have a responsible support system on your side to make things a little bit easier along the way. Innovative Professional Offices understands the importance of freeing up business owners from the distractions of office management so they can concentrate on the work that’s most important to them. Our telephone answering service in Ottawa is just one way we strive to help you succeed. As with any of our services, our phone answering plans are customizable. We have a selection of affordable rates to find the best fit for your business needs. Contact us today to learn more about our business call answering services.